Wood is beautiful, but did you know it can actually improve cognitive health? That’s the conclusion that many recent studies have reached, and it’s inspiring architects and designers to make wood a central locus of the built environment. Wood is now being chosen not only for its looks but also its psychophysiological benefits. This research is changing the way A&D professionals approach their craft, and the resulting design is more human-centric than ever before. Here’s why wood is such a boon to our bodies and brains. Psychophysiology is the field of study that analyzes the relationship between mental and physical processes. It acknowledges that there is a strong connection between mind and body and researches how the two affect each other as well as how external conditions affect them. In the built environment, psychophysiology is a crucial factor that will determine occupant enjoyment. From the design all the way down to the specific building materials used, the built environment greatly affects the people who inhabit it. As such, it’s important to pay attention to the psychophysiological impact of a space. Design psychophysiology is a large part of biophilic design, which aims to create environments that facilitate both mental and physical health in occupants. 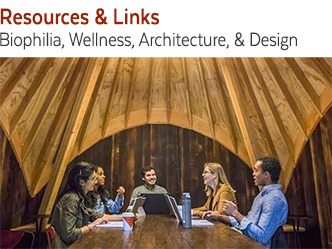 The field of biophilic design has been instrumental in helping architects and designers understand how buildings affect people and how they can be optimized to be the most beneficial. As it turns out, wood is one material that has been connected to psychophysiological benefits. In their study “Wood as a Restorative Material in Healthcare Environments,” Sally Augustin and David Fell explored the connection between wood and psychophysiology. 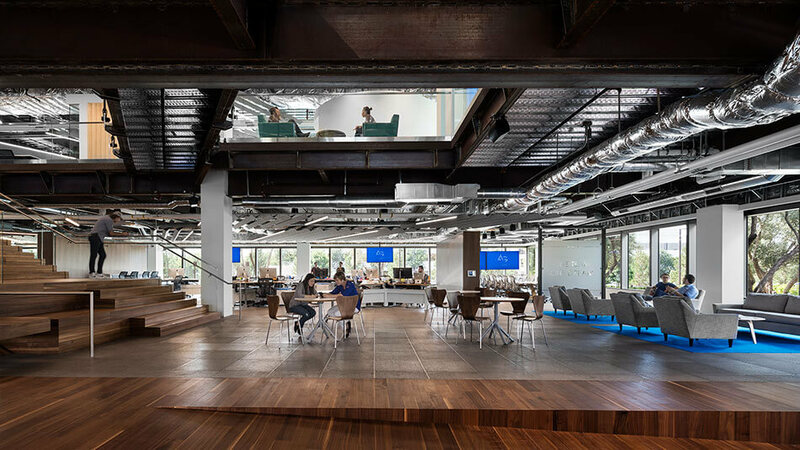 Their findings aligned with much of the research that has been conducted in biophilic design, but looking at these findings through the lens of psychophysiology gives us a new way of viewing the built environment. In short, Augustin and Fell concluded that wood is particularly excellent at stress reduction. However, it’s the specific details that have incredible applications to design. First, wood can help people manage existing stress. 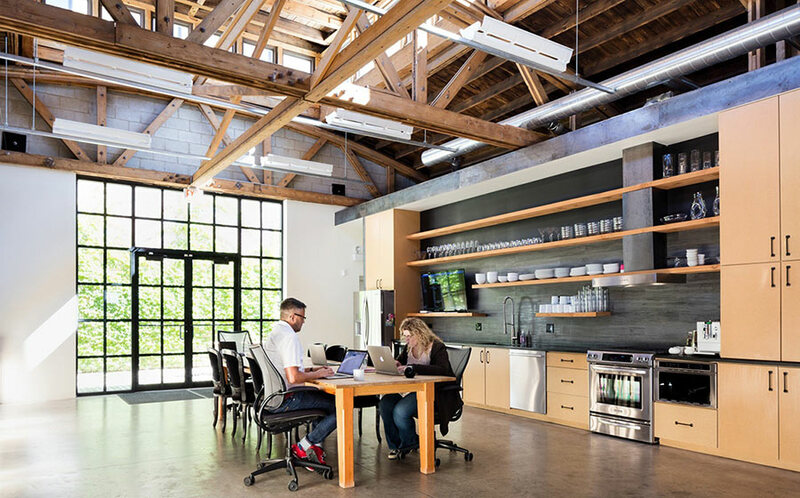 To illustrate this, Augustin and Fell cited a 2010 study that analyzed how offices (with and without wood) affected participants who completed a stressful mental task. 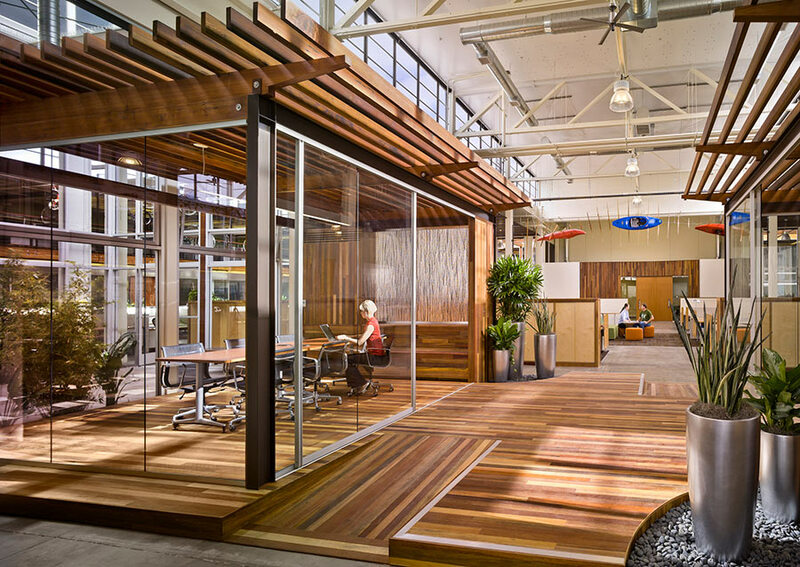 The participants in offices that featured wood were much less stressed than those in non-wood offices. Wood can also prevent stress from occurring. A 2011 study analyzed stress levels in students who were placed in wood and non-wood classrooms. The findings were similar to the aforementioned 2010 study: students in classrooms that had wood were less stressed than students in non-wood rooms. A similar conclusion was reached in a study that considered wood in residential environments. Fascinatingly, participants’ blood pressure and heart rate dropped when they entered rooms with wood but increased when they entered rooms without wood. Even the amount of wood has an effect on wood’s stress reduction properties. A 2007 study assessed participants’ responses to rooms that were covered in 0%, 45%, and 90% wood. While heart rate and blood pressure were lowest in the room with 90% wood, participants said they felt most comfortable in the 45% wood room. This is where psychophysiology comes into play. Although the 90% wood room satisfied participants physiologically, the 45% room was the best psychophysiological option, combining lowered heart rate and blood pressure with enjoyment and calmness. Wood’s health benefits aren’t limited to stress reduction. A report by Planet Ark demonstrated that wood has been shown to boost social interaction and foster feelings of comfort. On a very simple level, these benefits immediately contribute to short-term occupant health. However, the implications of wood’s many healing properties are astonishing. The Planet Ark study speculated that wood’s social component may help to mitigate dementia in the elderly. The authors also put forth that wood’s stress relieving abilities may help people avoid health complications––including obesity and type 2 diabetes––that arise as a result of stress. There are many other enthralling studies that analyze the relationship between wood and psychophysiology. Dr. Yuki Kawamura, a researcher at Sumitomo Forestry Research, measured various kinds of health responses to wood. One experiment studied the effects of wood on the brain and found that wood produces higher alpha wave activity, thus indicating higher levels of relaxation. During mentally demanding tasks, participants exposed to wood had more beta wave activity, which pointed to higher levels of focus. These fascinating studies proved that wood can help people rest or focus more effectively depending on the context. For designers, this means wood is just as useful in a hotel room as it is in a corporate office. From its stress alleviation properties to its social benefits, wood proves time and time again to be one of the healthiest building materials in existence. Equipped with this new knowledge, architects and designers can work to ensure that the built environment is psychophysiologically optimized for humans. 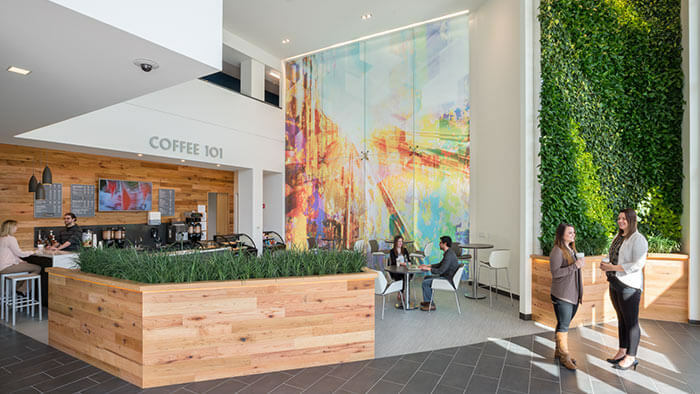 This approach is already ushering in a new era of design that brings biophilia to the forefront and focuses on making the healthiest possible spaces. There are many ways to use wood in the built environment for positive psychophysiological effects. That said, there are some key concepts to keep in mind. First, it’s crucial to consider the right amount of wood for any given space. As we saw from one of the studies, rooms with about 45% coverage of wood were considered to be the most comfortable. That figure doesn’t need to be an immovable metric for designers to adhere to, but the concept of using the appropriate amount of wood to accomplish the design intention is pivotal. Next, keep the full range of wood’s benefits in mind. Thinking of wood as a healthy building material (and not just a stress reliever) will help you unlock all of its design advantages. For instance, due to wood’s ability to encourage social interaction, many designers elect to use wood in spaces where people gather together. 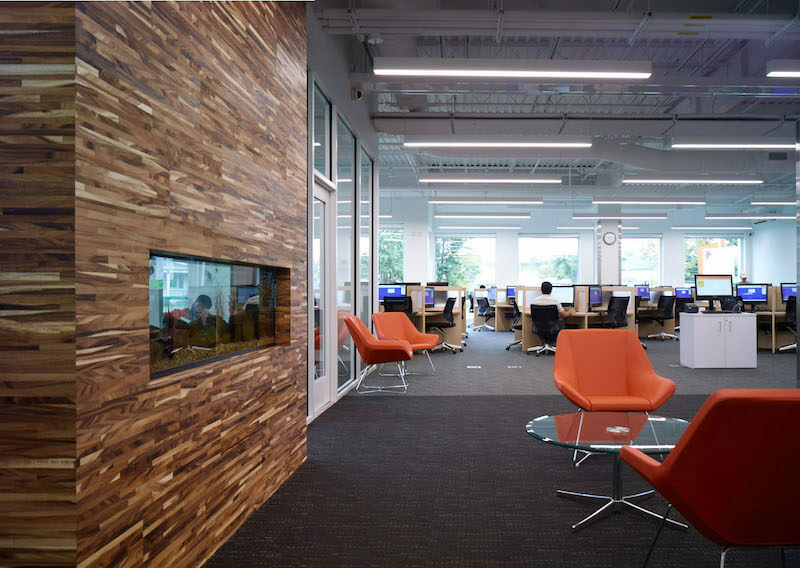 Hotel lobbies, office break rooms, fitness centers, study areas, and event spaces are just a few environments that can utilize wood to foster a more social atmosphere. Finally, think about the type of wood to employ. Many architects are choosing reclaimed wood as it arguably provides added benefits over new wood. 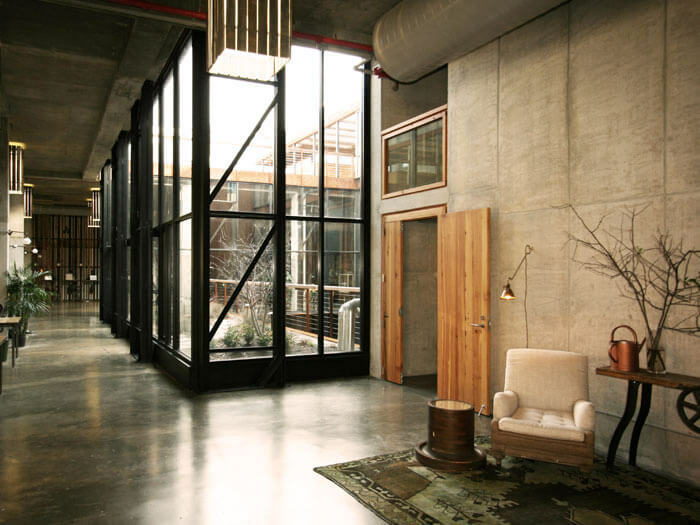 Reclaimed wood can be character-rich with lots of texture and weathering which can elicit a stronger natural, organic connection for occupants to a space. Telling the story of reclaimed wood whether the reclaimed wood has a clean aesthetic or readily displays its prior history through a naturally distressed look, allows occupants to emotionally connect and feel more meaning to the built environment in addition to having a natural affinity for wood. The link between wood and cognitive health has far-reaching implications for architects and designers. Spaces with abundant wood have always been considered beautiful, but now we’re discovering that such spaces are beneficial to not only the eye but also the mind and body. 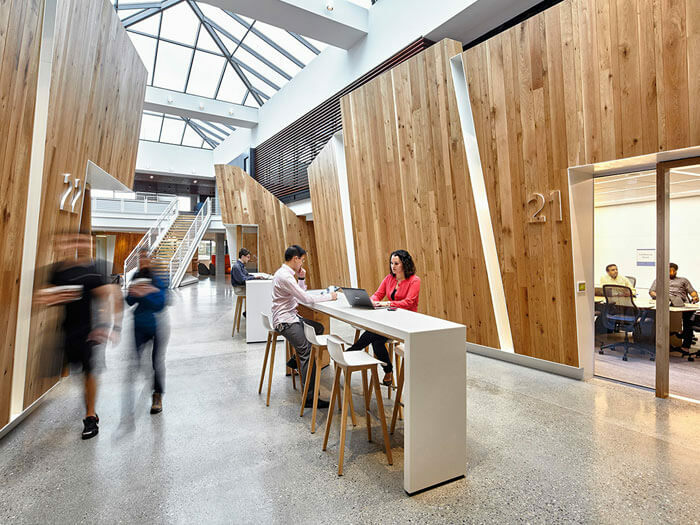 The result: Built environments that help people rest, focus, and feel better, all thanks to wood.